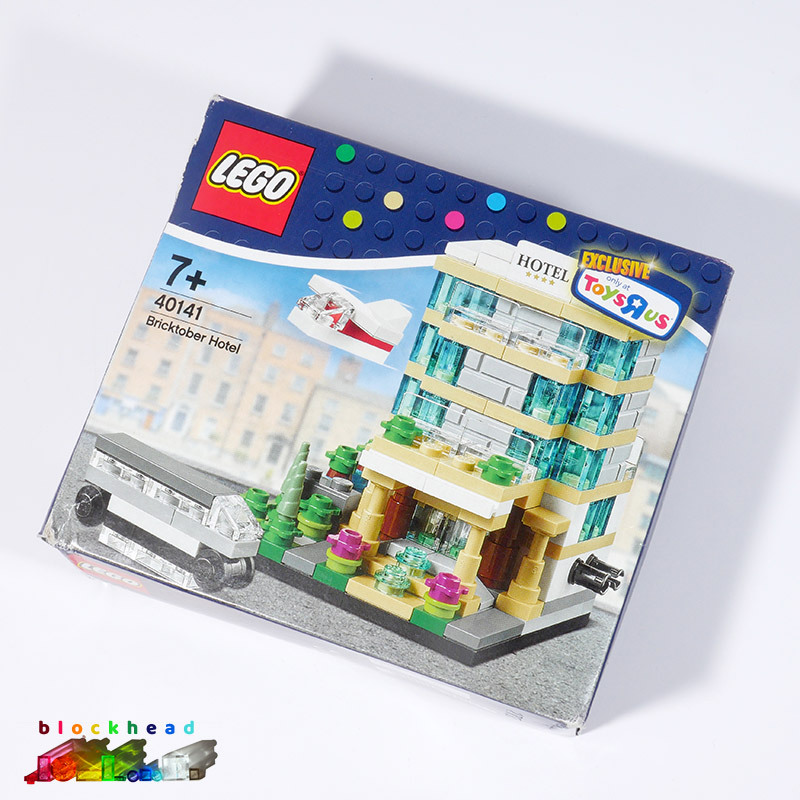 Another bargain was had on eBay recently, and the Bricktober Hotel (40141) was mine! It arrived today and the box was a bit squashed but I wasn’t too bothered about that. 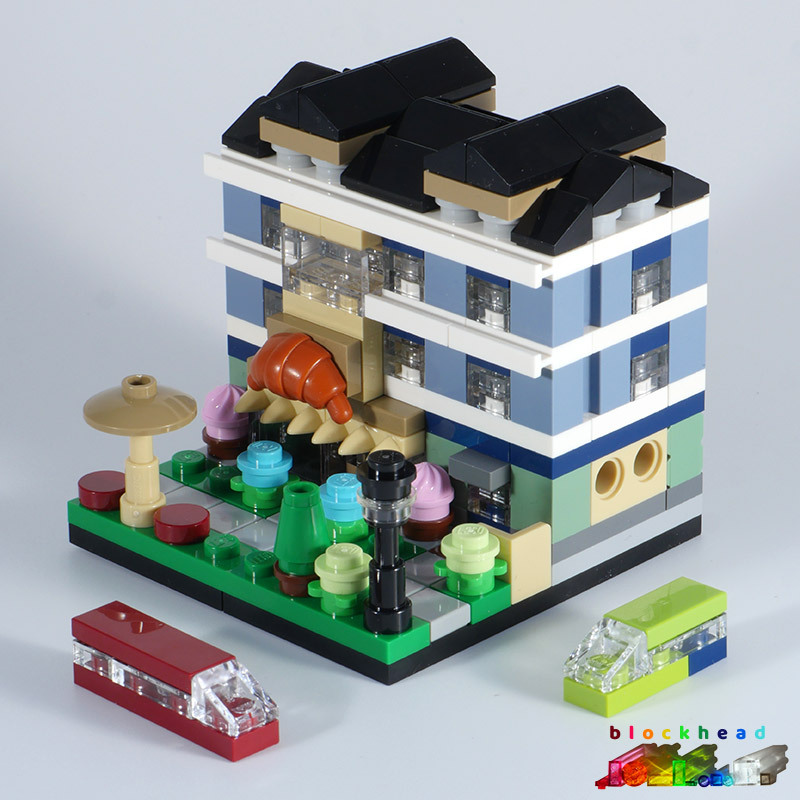 I found it a much easier build than the Bakery, maybe because I wasn’t trying to do it on a tray on my knee. It turned out well, with some nice little details and landscaping around the side. 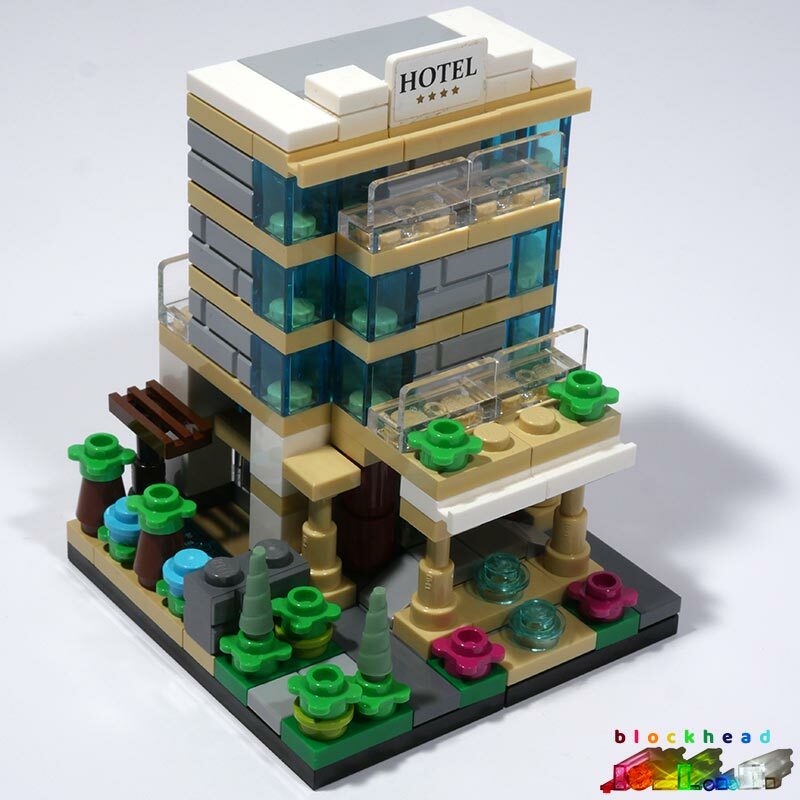 The hotel and bakery are going on a couple of Micropolis bases with some other Bricktober sets when I get them, and possibly made into a complete block eventually. I think they sit quite nicely together – although I’ve left them one plate higher than the pavement on their own 8×8 bases, in case I ever want to take them off again. I will update you with a new photo when I have put something else on the board in due course. 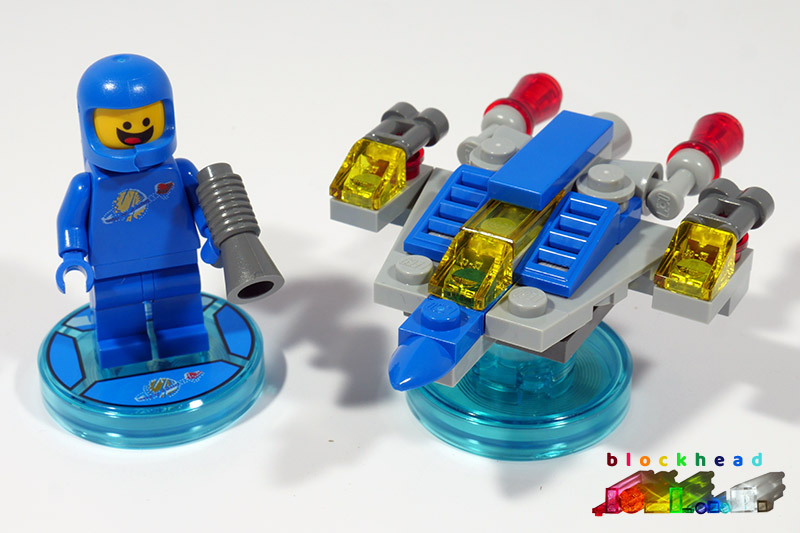 I have big plans for my Microscale Moonbase – Mooncropolis. 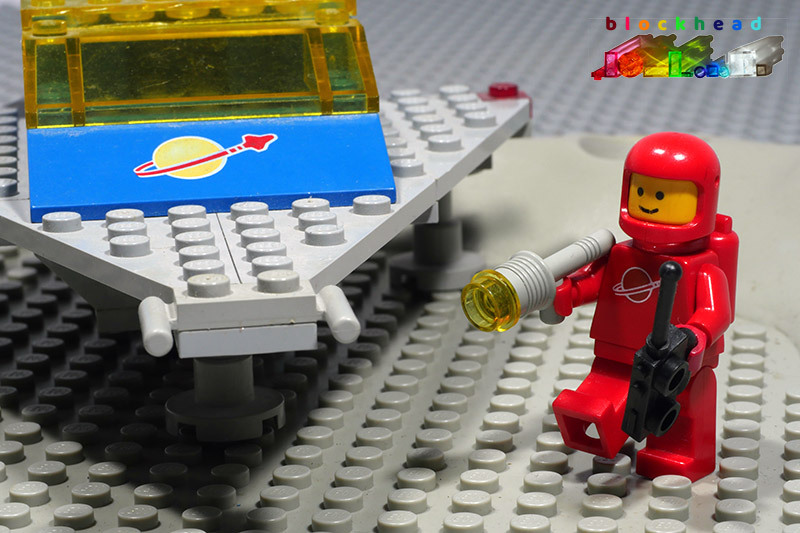 But in order to get some of the structures built, you first need to land on the Moon and bring in supplies. This is where my little NCS fleet comes in. So far, I have three classes of ship working the route. 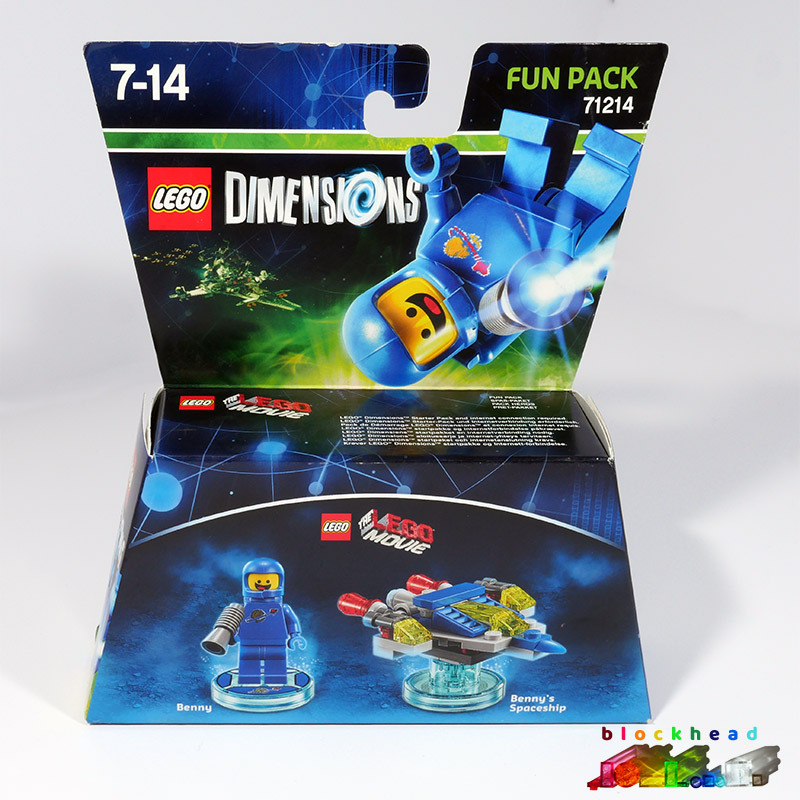 I’ve had a word with Benny The Spaceman and he told me where to get some little runabout ships which were going cheap – in fact, they were on a BOGOF offer, so I took his advice and snapped up a couple of the 7114 LEGO Dimensions Benny Fun Pack sets. As I don’t have any interest (or equipment) to play the Dimensions game, I had to rely on Benny giving me instructions on how to build his little craft. They turned out pretty well! 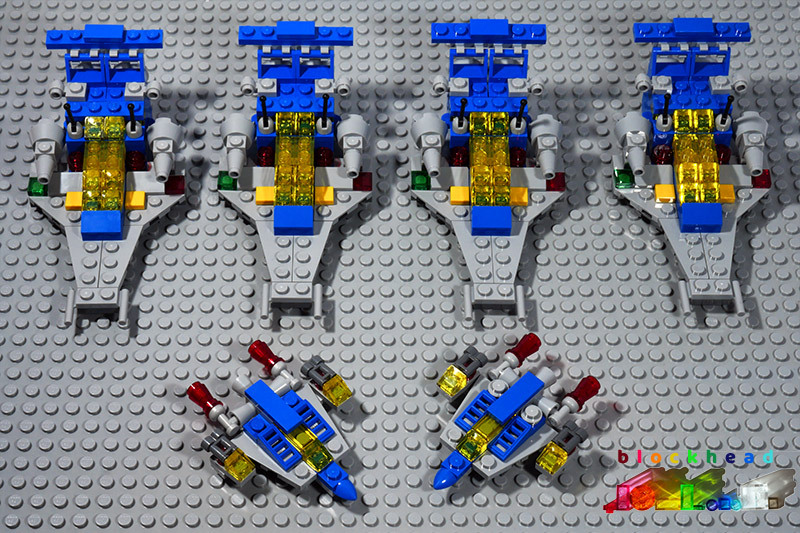 I also spotted a good deal on eBay for four microscale cruisers – just what I need to fill out the fleet a bit more. 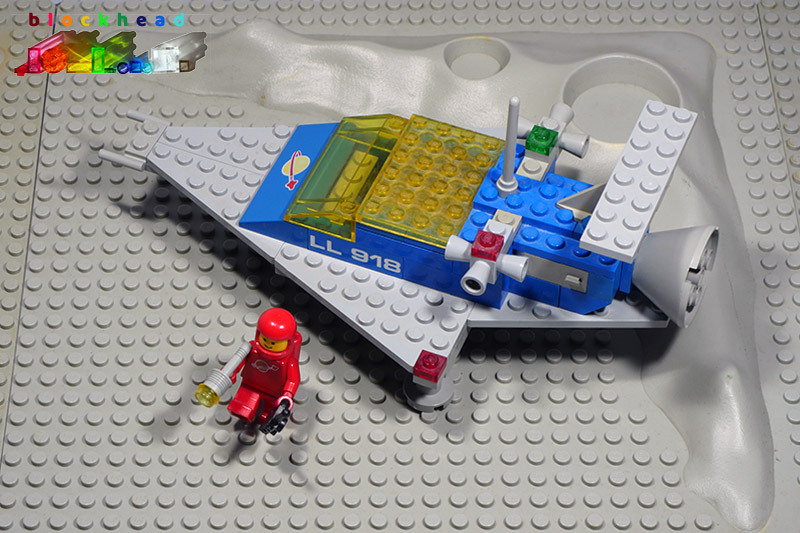 The polybags come with a LEGO book as part of set 11910 but didn’t include any instructions, so I had to wing it from an LDD file I found online. 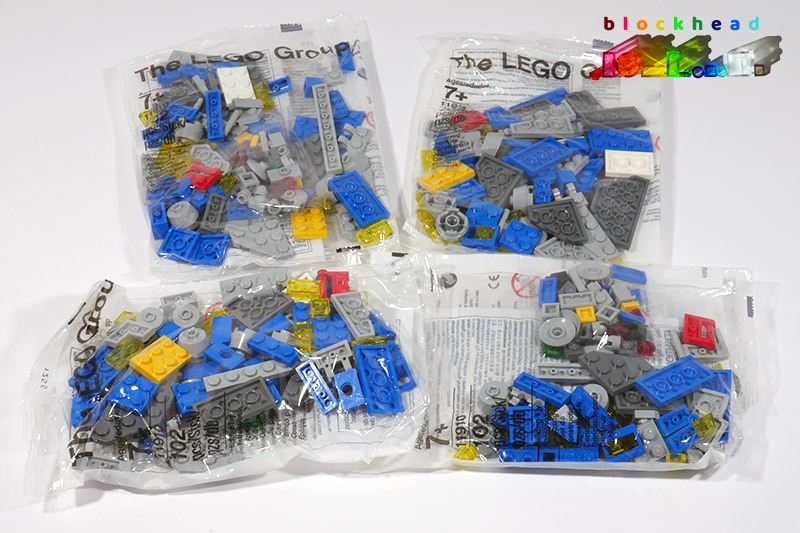 I tipped out all four bags into my sorting tray and set about building them simultaneously, just so they all ended up the same. Taking a closer look at one of them, it’s a well-equipped vessel with plenty of room for passengers up front and cargo in the back, which is stowed through the two opening doors at the rear. These bigger ships will bring personnel and supplies to the Moon as the base is being built, while the runabouts will be good to move bits and pieces around once they are on the Moon itself. There were quite a few spare parts which I didn’t need from these sets, which will probably go towards making the NCS Ugly Duckling into a bit more of a believable craft! Watch this space(ship). 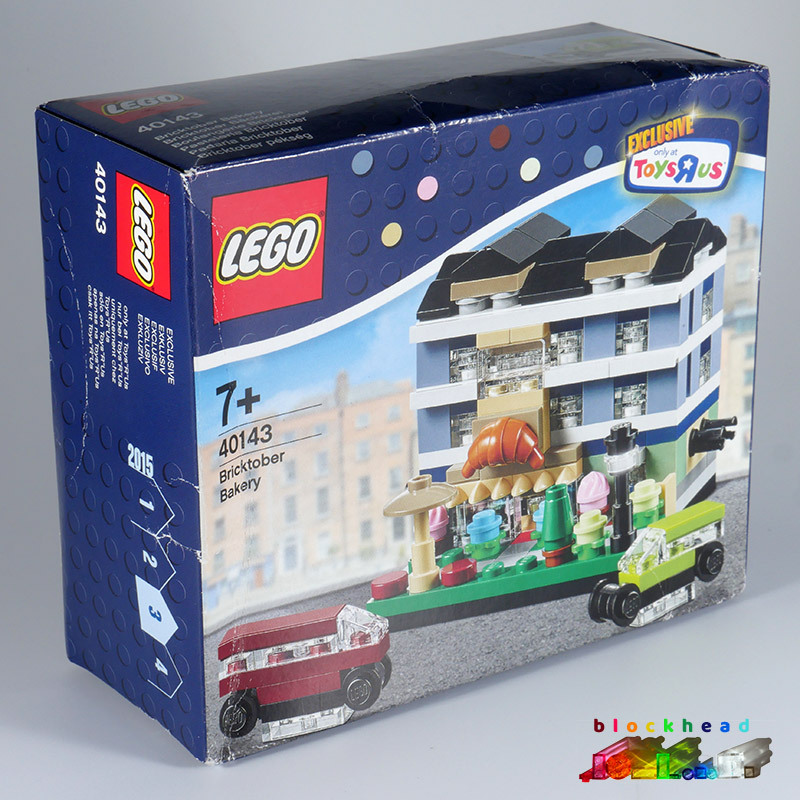 The 2015 Bricktober Mini Modular buildings aren’t too difficult to acquire on eBay in the UK at a decent price, you just have to keep your eye open for ones which aren’t up for silly money. As I’m not at all worried about the condition of the boxes, it’s useful to watch for ones with crumpled cardboard as they tend to be a bit cheaper. 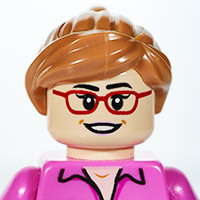 I’m not collecting my LEGO to sit on a shelf un-built, but that’s my choice! The 40143 Bricktober Bakery arrived from eBay recently so I set about opening it up and putting it together. I found the pieces quite hard to locate and make out which one I needed from the instructions, for some reason. 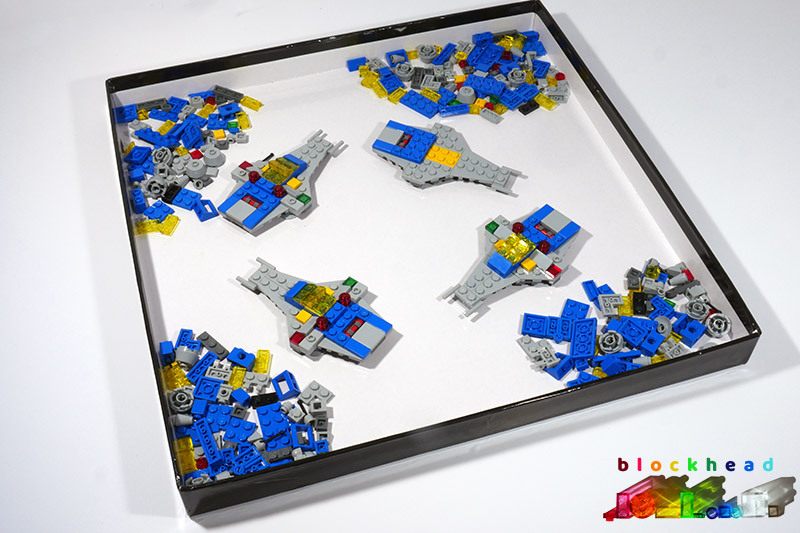 It could have been that I was doing the build on a very small tray on my knee on the sofa, and didn’t have much room to spread the pieces out to rummage about for each one I needed. Anyway, I got there in the end. You will notice from comparing photos on the box and the built version, that I’ve left off a few bits from bottoms of the motorised vehicles. I think this makes them more in-scale with other vehicles in Micropolis, which are usually only 2-3 plates high. 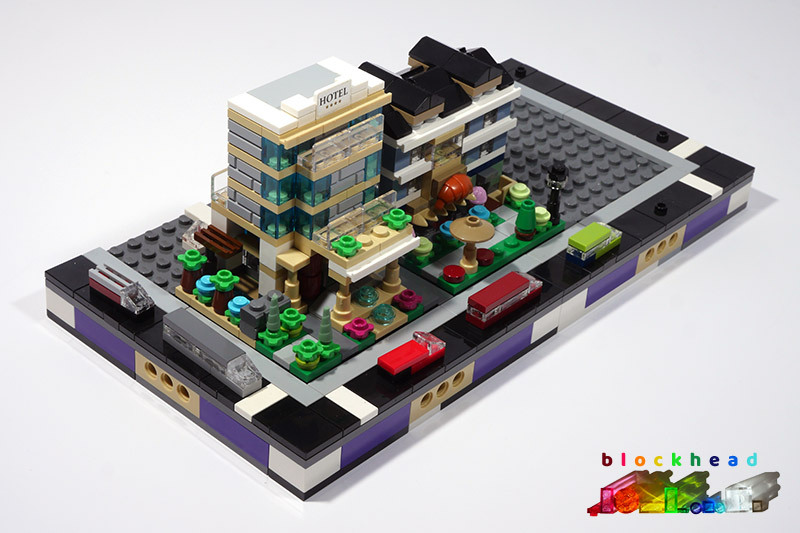 The bakery will eventually end up on a proper Micropolis base, making up a single block (4 quarter blocks back to back), to be called Bricktober Court. Keep your eye open for progress on this front! 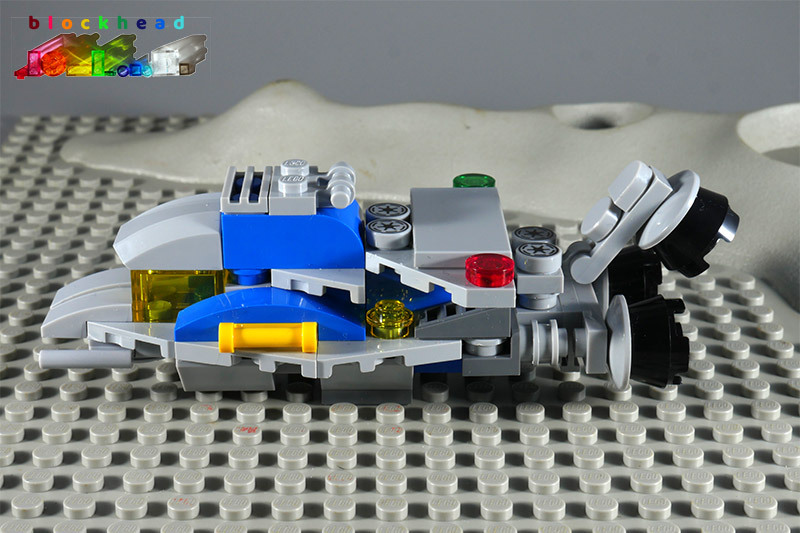 I’ve had a go at building a microscale space ship with some of the bits and pieces I currently have in my parts box. It ended up as a bit of a mish-mash, and was quickly christened the Ugly Duckling. It’s designed to be a workhorse cargo heavy lifting craft, and not meant to look pretty, so I figured I could get away with it! 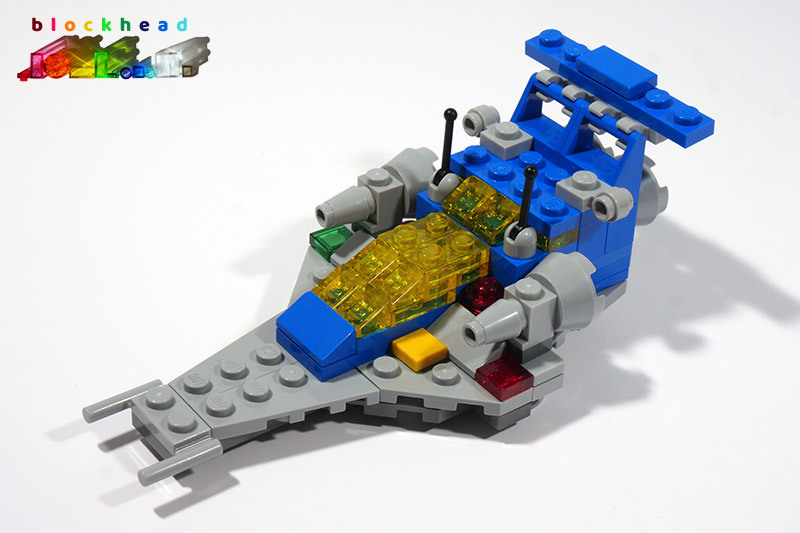 It may get a refit when I have some spare parts which would make some improvements.